Join AFF for a year’s worth of exclusive advanced screenings, film premieres, script readings, roundtable events, Conversations in Film, party invitations, and more! 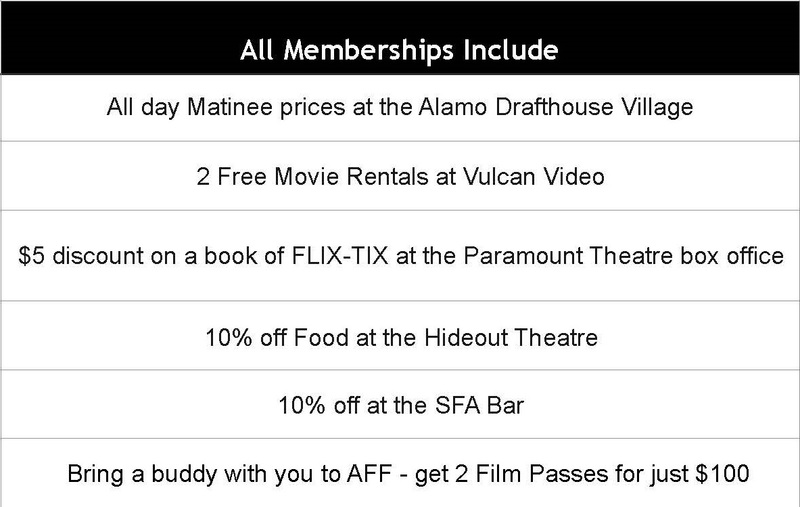 AFF Members not only receive free access to most of our events, but also gain priority seating to our Year Round Events! Skip the long lines and enjoy first entry into the theatre as an AFF Member. Receive discounts on our annual Summer Film Camp, and exclusive invites to our annual Spring Hair of the Dog Brunch in March and the On Story Premiere Party in April. This year we are happy to include benefits from the Paramount and Stateside Theatres, Alamo Drafthouse Village, Vulcan Video, Hideout Theatre and SFA Hotel. 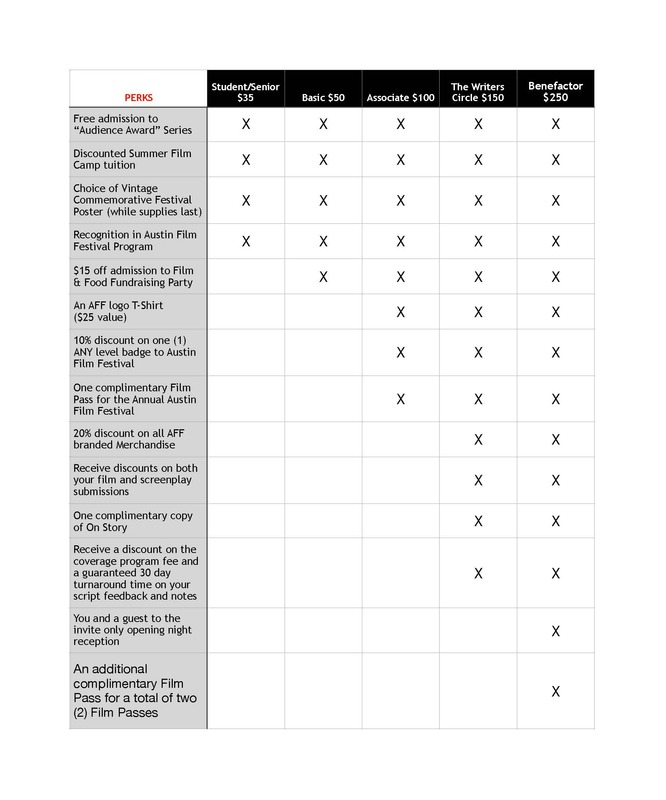 AFF Members must present their membership card in order to receive the benefits above. Or On Story—Screenwriters and Filmmakers on Their Iconic Films which presents renowned, award-winning screenwriters and filmmakers discussing their careers and the stories behind the production of their iconic films such as L.A. Confidential, Thelma & Louise, Groundhog Day, Guardians of the Galaxy, The Silence of the Lambs, In the Name of the Father, Apollo 13, and more! *Discounts on AFF Badges and Passes determined by Membership Level. ***Purchases made after October 1st at midnight must bring a receipt to Registration to receive your benefit Film Pass if applicable.